SAINT JOHN, N.B. -- Defence lawyer Alan Gold says juries are the cornerstone of the judicial system. He made the statement as he began his closing arguments this morning at the second-degree murder trial of Dennis Oland in New Brunswick. 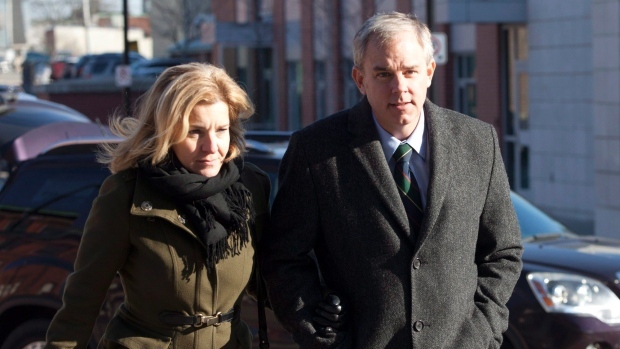 Oland has pleaded not guilty to second-degree murder in the death of his father, businessman Richard Oland. The 69-year-old was found face down in a pool of blood in his Canterbury Street office in Saint John on July 7, 2011. The jury has heard he suffered 45 blunt and sharp-force wounds to his head, neck and hands, though no weapon was ever found. The Olands are an establishment family in the Maritimes, having founded Moosehead Breweries, but Richard Oland left the family business in 1981.